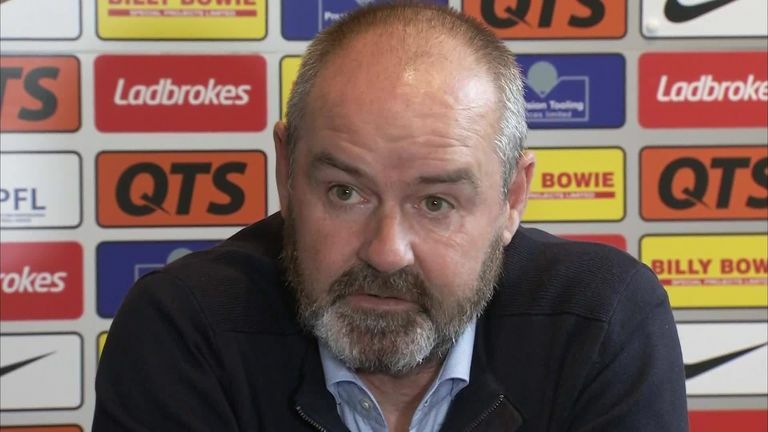 Steve Clarke has branded the SFA "unprofessional" after Hampden bosses spelt his name wrong on his disciplinary charge. The Kilmarnock boss hit out at the Scottish Football Association after they refused to overturn a red card shown to Gary Dicker by referee Willie Collum against Hearts last month, claiming the decision was "pre-judged". Clarke says he is looking forward to his day in court after insisting he stands by the comments that have landed him in trouble. He said: "Obviously we're going to fight our corner. We'll go to the hearing and put forward our case. "I'm disappointed that the club has been charged for something I said. I stand by everything I said in my statement - no retraction - so I look forward to the hearing. "Maybe I'm being a little bit pedantic but I thought it was disrespectful that they spelt my name wrong, both on the front cover and inside. I won't use the word amateurish but certainly unprofessional." In the charge sheet sent to the Killie boss, his name was written Steven rather than the correct spelling of Stephen. Clarke takes his side to Easter Road to face Hibs on Saturday as Killie look for back to back wins after their triumph against Aberdeen before the international break.